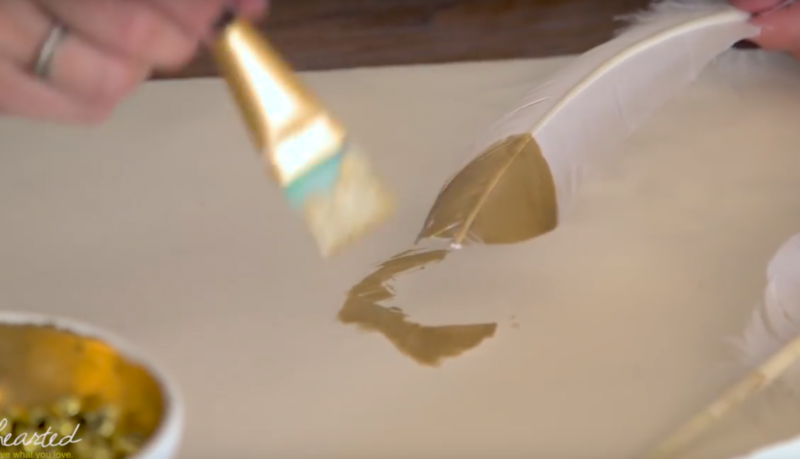 She Paints The Ends Of These Feathers Gold And Nails This Boho Chic Decor! Making a pretty garland is such an easy and creative way to add some pretty decor and chic style to any room. I especially appreciate them in a bedroom–kid’s or adult’s–because they add such a personal touch. This golden feather garland is cool enough for your bedroom yet playful enough for a little girl’s. 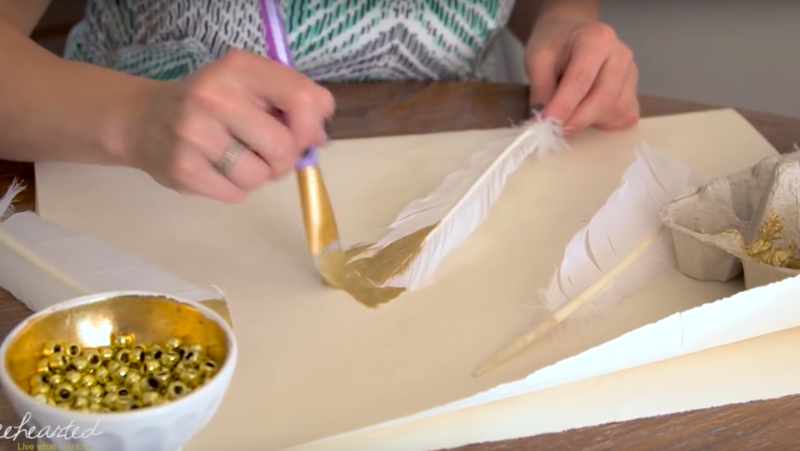 Set up your workspace and begin by painting the bottom third (or so) of each feather.